Earth Scientists apparently accept radiocarbon dating as the gospel truth. However, if the Settled Science that supports radiocarbon dating is really just one huge homogenised hodgepodge then acquiescent Earth Scientists are simply being misdirected and left to flounder in the dark. This would go some way towards explaining why so many Earth Scientists are gainfully employed chasing their tails. Thus, the mainstream gained the scientific kudos associated with Radiocarbon Dating whilst [simultaneously] wrestling control of the Settled Science away from Willard Libby by imposing a calibration curve that was approved by the mainstream. Sadly, this hybrid, high jacked and half-baked Settled Science has now degenerated into a recursive [incestuous] feedback loop where dendrochronology calibrates Radiocarbon Dating which, in its turn, is used to calibrate dendrochronology. 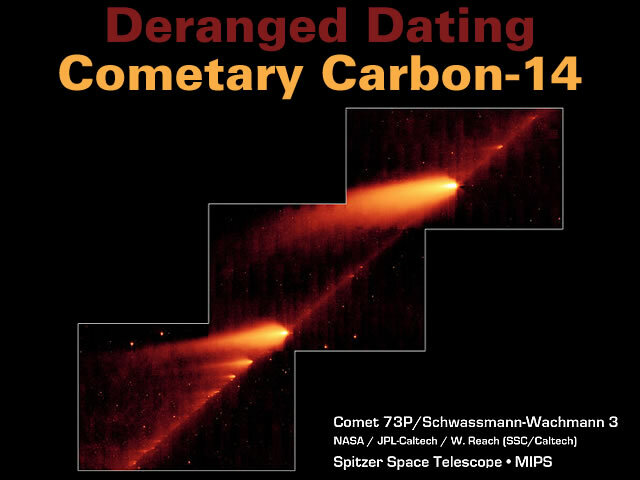 Amongst the many issues associated with the Settled Science of radiocarbon dating there is the curious case of Catastrophic Cometary Carbon-14. Arguably, the burning up of a cometary debris train in the Earth’s atmosphere would significantly enhance the level of atmospheric Carbon-14. Carbon-14 is produced in the upper layers of the troposphere and the stratosphere by thermal neutrons absorbed by nitrogen atoms. When cosmic rays enter the atmosphere, they undergo various transformations, including the production of neutrons. Occasional spikes may occur; for example, there is evidence for an unusually strong increase of the production rate in AD 774–775, caused by an extreme solar energetic particle event, strongest for the last ten millennia. Therefore, the regional ΔC14 and Be10 records only partially reflect solar activity because other “atmospheric processes” also produce radionuclides. Lightning [just like cosmic rays] produces neutrons in the atmosphere which [in turn] produce carbon-14 when they are “absorbed by nitrogen”. The detonation of atomic weapons in the atmosphere is known to produce carbon-14. 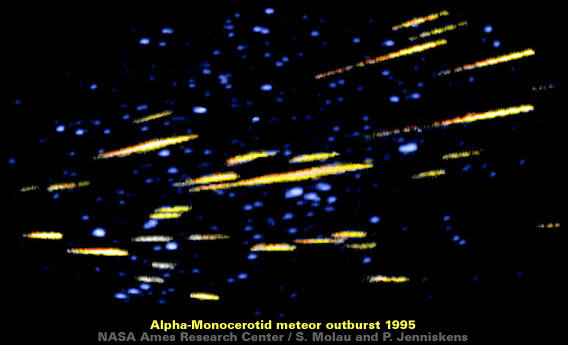 Similarly, meteors will generate radionuclides in the atmosphere. The above-ground nuclear tests that occurred in several countries between 1955 and 1980 dramatically increased the amount of carbon-14 in the atmosphere and subsequently in the biosphere; after the tests ended, the atmospheric concentration of the isotope began to decrease. Therefore, it’s worthwhile taking a closer look at the radiocarbon dating of Dallas Abbott’s six layers from the Tamarack Pond Core that are “difficult to explain except through impact processes”. An initial reality check using the radiocarbon dated Irish Oaks Chronology shows six of the Tamarack Pond Core layers are associated with spikes in the Δ14C values. The following analysis of the Tamarack Pond Core focuses upon the two uppermost layers because if the radiocarbon dating is incorrect then Layer A [1006 ± 67 AD] might be associated with the Heinsohn Horizon [around] 914 CE whilst Layer B [925 ± 76 AD] might be associated with the Sand Layer [around] 760 CE. This possibility is supported by the observation that Layer B contains the largest number of “interesting” grains in the Tamarack Pond Core. Whilst the possibility that the radiocarbon dating is incorrect is highlighted by the noticeably diminished accumulation rates in the layers immediately adjacent to Layer B. A basic [mid-point] reality check of the radiocarbon dating using a linear trend for the Tamarack Pond Core suggests Layer A should be dated to 1066 AD i.e. the very same year Earth experienced a close encounter with Comet Halley. The same basic reality check of the radiocarbon dating suggests Layer B should be dated to 776 AD and might be associated with the 760 AD Comet Halley Sand Layer. Gallery | This entry was posted in Atmospheric Science, Catastrophism, Comets, Cosmic Rays, Dallas Abbott, Dendrochronology, Deranged Dating, Heinsohn Horizon, History, Old Japanese Cedar Tree, Radiocarbon Dating. Bookmark the permalink. Rocks and fossils do not come with dates on them. In fact, the very concept of strata representing long ages does not come from the rock strata themselves. That concept began with eighteenth-century French naturalist Georges Cuvier, picked up steam with Charles Lyell, and it has been in vogue ever since. This is despite the fact that it causes more problems for interpreting rock strata than it solves. And today we know through lab experiments and natural disasters (such as the eruption of Mt. St. Helens) that major layering of rock strata can happen catastrophically in a short period of time. In order to get the level of helium found in the rocks, there had to have been a lot of radioactive decay. But the results show also that there was not only very a rapid decay episode, but the helium still in the crystal, shows it happened in the recent past. Recent as in thousands of years ago, not millions let alone billions. … samples of material analysis of rocks believed to be millions of years old, do contain tiny (microscopic) fragments of shells, bone, graphite (wood) and other organic materials. Marble is metamorphosed limestone (calcium carbonate) and has been studied for other reasons many times. The compositional analysis of its contents from these studies have been published in many scientific journals. These studies always show some amount of C-14 in the details ( that should not be there), but it is recorded – just not commented on in the publications. Nuclear decay rates went through a major acceleration in the past! Dates derived from Radiometric dating are off by massive amounts. The regular presence of C14 in samples tested shows that our planet cannot be millions of years old. These are repeatable, verifiable results from experimental science. Based on these repeatable results – “Long-Age” dating is dead. No way can this planet be millions – let alone billions of years old. Interesting comments – Thank you. Radiocarbon dating is the gift that keeps on giving way. Ralph Juergens dealt with radioactivity and its relationship with the ambient electric field. Published as an appendix to his polonium article. Essentially decay is dependent on E field strength. The Russians have published data on gravitational effects on plutonium decay – so radiometric decay is not a constant. Again belief trumps empiricism. Electric particles are not affected by gravity, only neutral ‘shapes’ comprised of matter are affected. Radiogenic decay products are electrical particles and hence affected by the electric fields in which they are immersed. Once electrical effects are included gravitational effects essentially disappear into irrelevance. This is very interesting. As our technology improves and scientific instruments are able to measure what was impossible even just a few years ago we find discoveries of things that are totally unexpected. For example some dinosaur bones that have recently been found are from a gigantic beast that they say must have lived 150 million years ago. I think the larger the dinosaur the further back in time it needs to live. The fly in the ointment is they found organic matter in these bones, collagen if I recall correctly. This was sent for carbon dating and came back at 35,000 years. The lab did not know what they were testing, and when they found out refuted that the sample could be genuine. Turns out they can easily find this organic matter in these bones, an in many other so called dinosaur bones. Are these fossils (rock) or are they real bones? Nothing real could last 1 million years let alone 65 or 150. Given the flaws in Carbon dating could these creatures be even closer to our times, which would suggest the changes to earths environment both within the solar system and here on the ground are very recent and would have been spectacular, catastrophic and traumatic to any life that was around. I can’t see how that would be true; is not gravity a pervasive field? And what is matter made of but molecules, atoms, elementary particles? We ‘think’ gravity is a pervasive field and Newton simply explained what he observed, which in his time, were electrically neutral shapes/bodies suspended in vacuo. Newton knew nothing about electric charge. His laws are laws describing the motions of shapes comprised of elemental particles that are electrically charged. The mistake is extending Newton’s incomplete understanding to the atomic.